Georg Kastl discusses pictorial cloth in the first of our series of illustrated essays. It is not London Fashion Week yet, and I don't want to talk about fashion. What is 'pictorial cloth' in our - bookdealers', collectors' and librarians' parlance? A publisher's binding of illustrated cloth (linen or cotton, usually), not only lettered and ornamented, but actually a binding which depicts something, usually related to the contents of the book. Which Is Best? 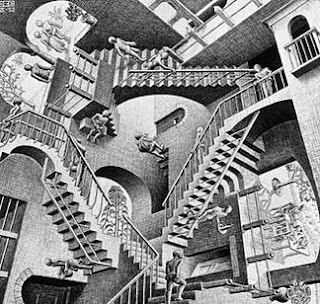 Being Stories About The Five Divisions Of The Worldand Stories Of The Five Senses. London, Thomas Dean And Son. . 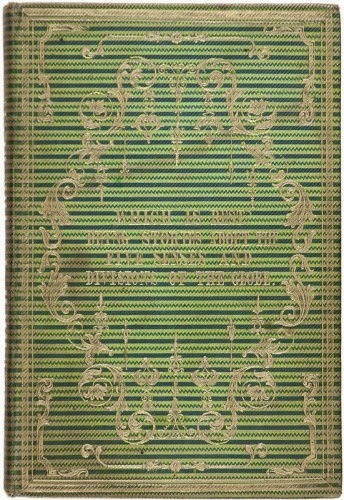 The book is illustrated in Ruari McLean’s magisterial Victorian Publisher’s Bookbindings of 1974 (p. 38, a variant in yellow; the reference work, based on a collection is sadly not bound in pictorial cloth; the cover illustration is printed on thick paper and pasted down, which illustrates best how the technology for these bindings had vanished in the later 20th century). The simple and striking pattern of the sage green cloth still would make some stylish clothing today. 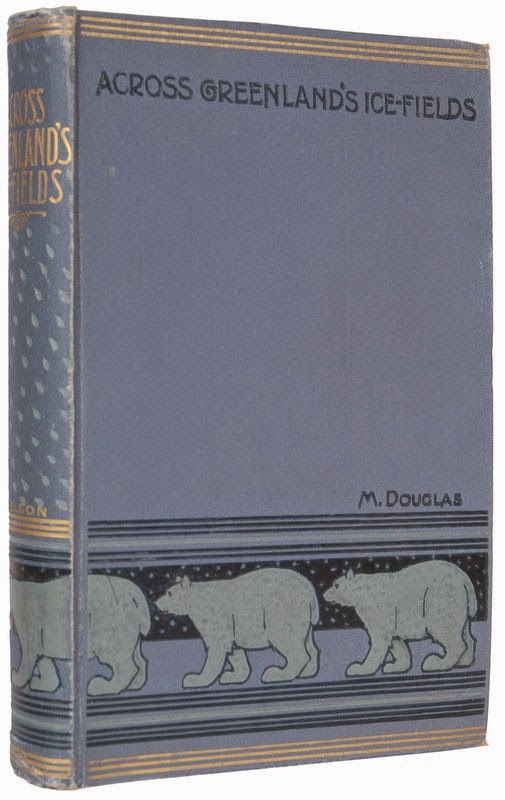 Talking about today, only very few books are being published in pictorial cloth at present, with one remarkable exception, The Folio Society, who always had to source binders who had kept up the standards, technical skills and facilities. Sadly enough this publisher, a British institution, be it due to cost implications or simply a lack of compaines with the relevant expertise, now has to resort to the binders Lachenmeyer in Reutlingen (founded in 1872) and even a printer in Germany. Returning to the nineteenth century, soon lettering, usually in gold and blind, as well as ornamentation appeared on spines and front covers. With the development of book-marketing (shop windows! ), the increasing visualization, furthered by mass distribution of imagery, illustrations and the advances of colour printing techniques and the textile dying industries (aniline dyes in the 1860s) publishers started to compete for buyers with even more evocative, beautiful and colourful bindings, culminating and slowly petering out in the early Edwardian era with the advent of the illustrated dust-wrapper around the cloth binding. 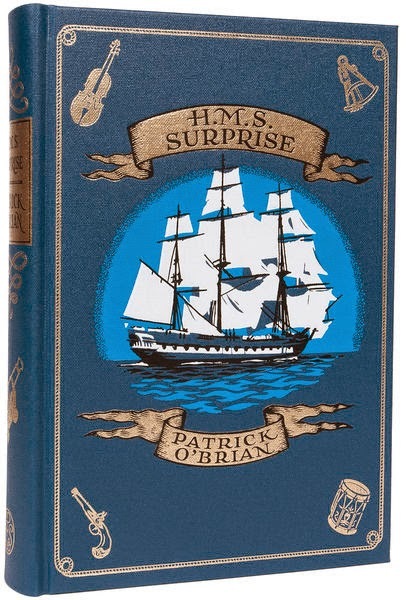 There are some interesting transitional cases of books being produced with both illustrated cloth bindings and illustrated dust-wrappers, the latter obscuring the first. The mainstream of later books was published with more colourful dust-wrappers, which were not the dull affairs of the earlier days anymore, when the dust-wrapper had mainly one function, the one indicated by its name - to protect the book from dirt and dust. EVERETT-GREEN, Evelyn. 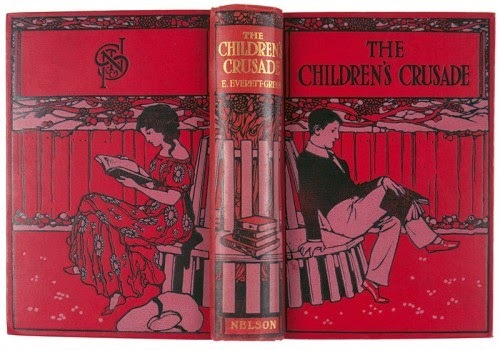 The Children's Crusade. London, Edinburgh and New York, Thomas Nelson and Sons, [c. 1903]. This book is only recorded in a completely different cloth binding with the motif of a young crusader with a shield on olive green background. The present binding is unknown (unique? a prototype? ), as much as the designer and not related to the narrative of the book at all. How - and why - this beautiful design, bookish and self-referential, was chosen and definitely not mass-produced remains a mystery to us. 'Mrs. 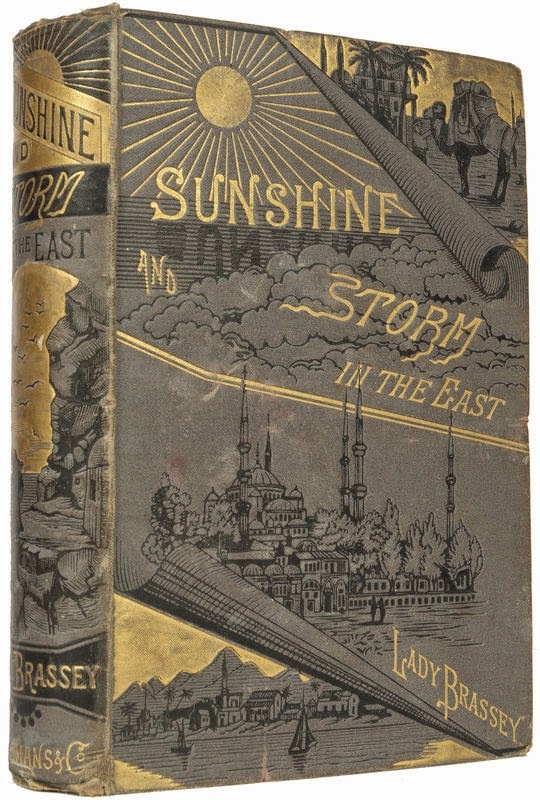 Brassey has presented us with her magnificent work, called, Sunshine and Storm in the East. Mrs. Brassey has, to - use the reviewer's phrase, already "made her mark " in literature; at all events, her Voyage in the Sunbeam, has been read by thousands of people, and has received the kindly notice of most of the critics of the Press, ourselves included. But it would seem that Mrs. Brassey has been moved to rival, if not to surpass, her first success. In what measure she has realised this purpose, we hope to show. It is impossible, in the first place, to be silent regarding the extraordinary merits of the binding, - of the pictorial design, that is [...] signed by the hand of no less eminent an artist than M. Gustave Doré. 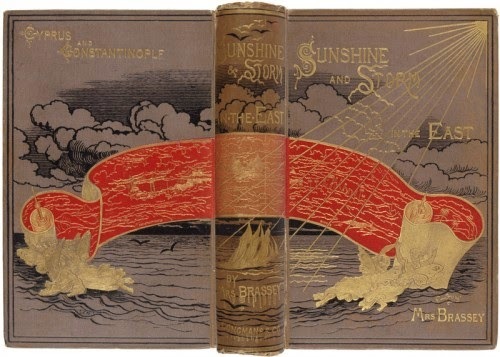 Upon a warm, grey background of sea and sky, picked out with black cloud and wave-lines and gold sun-rays, we have a superb scarlet scroll, which is being unrolled at both ends by two groups of fairy-like beings in gossamer attire, who seem partly to float upon the surface of the ocean, partly to hover above it. On the back of the book, in the foreground, is a small vessel, heeling over under the stress of the gale. What does all this mean? Mrs. Brassey, in her preface, is so obliging as to inform us. The nymphs of Ocean, we are told, flattered by the attention already shown them by the Sunbeam, in her voyage round the world, are unfolding before the vessel's path a long scroll, on which are depicted all the kingdoms of the earth, and the glory of them, hoping thereby to induce Mrs. Brassey to continue her triumphal career. It is surely an encouraging sign to see Art applied to such worthy ends as this. We may now look forward to deriving a twofold enjoyment from our libraries. If, for any cause, the interior of a book fails to please us, we have but to close it, and straightaway our eyes will be captivated by the charms of the outside. Our book-shelves must now be arranged upon a new plan, enabling us to see the whole of the bindings of the volumes at once, instead of only the backs, as heretofore. Or perhaps the covers can be so contrived as to come off, and then, by framing them and hanging them on the walls, we shall be decorating our rooms with one hand, so to say, while we instruct our minds with the other. Ultimately, books may come to be bought and sold on the strength of their exteriors only, and literature will assume the position of a vehicle for the dissemination of bindings. But, in short, there is no telling where this novel idea of Mrs. Brassey and of M. Gustave Doré may land us. Meanwhile, they deserve all the credit they are likely to receive for their initiation of so suggestive a reform' (p. 27 f.). And on he went for a long time eulogizing. We assume the extremely wealthy traveller and author of the book paid generously to get Doré as artist and the hack to eulogize about it in the Spectator. The idea however, of the binding as the essence of a book which will exist without text could almost have emanated from Derrida’s post-modern think tank. London, Longmans, Green & Co.,1881. 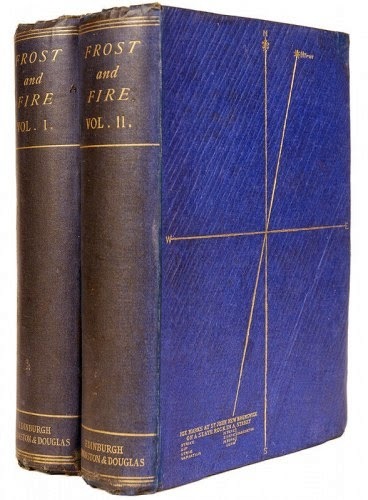 Neither of the bindings can be found in Ruary McLean’s 1974 book Victorian Publishers’ Book-Bindings, which is based on his own and others’ collections. 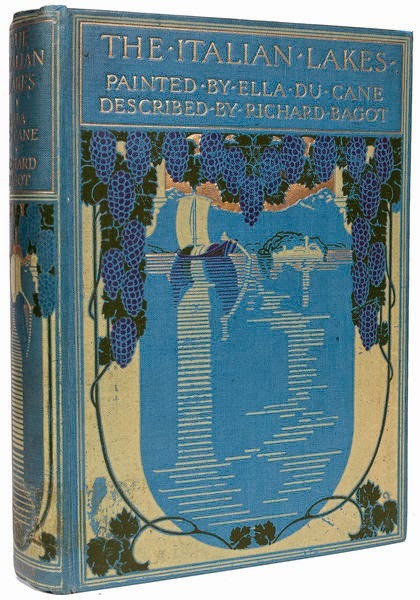 Slightly reduced in format the binding carried out by Simpson & Renshaw was changed, but the design, not accredited, is definitely in the style of Doré. DOUGLAS, Mary. Across Greenland's Ice-Fields. 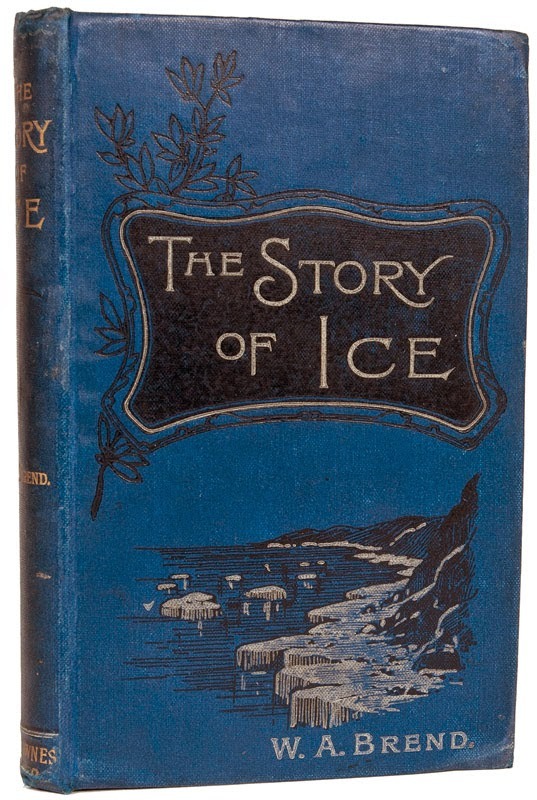 The Adventures of Nansen and Peary on the Great Ice-Cap. London, Edinburgh and New York, Nelson, 1899. 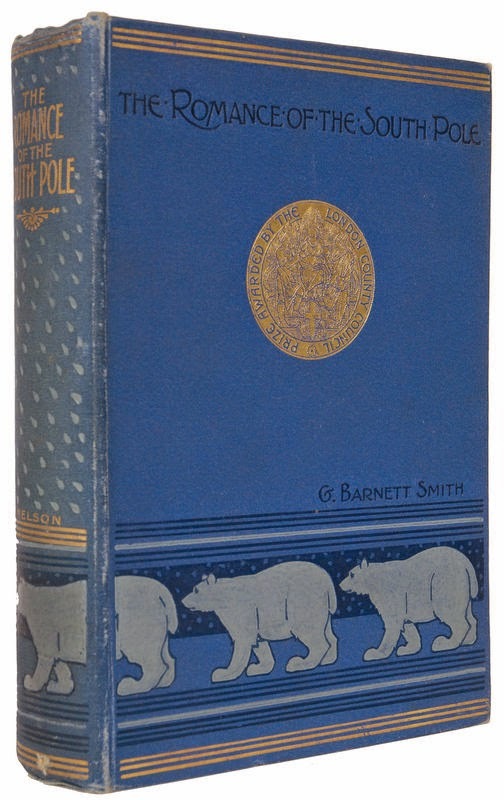 SMITH,Barnett G. The Romance of the South Pole. Antarctic Voyage and Explorations. London, Edinburgh, and New York, Nelson, 1902. 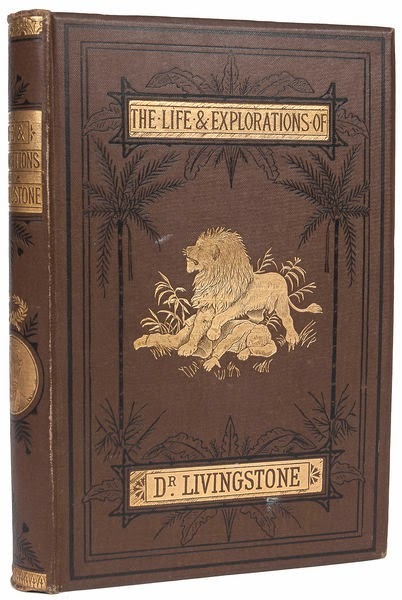 ROBERTON, J. S. The Life of David Livingstone,LL.D., the Great Missionary Explorer. London,Walter Scott, 1886. BREND,William A. The Story of Ice in the Present and Past. London, George Newnes, 1899. CAMPBELL, John Francis. Frost and Fire. Natural Engines,Tool-Marks and Chips. Edinburgh,Edmonston & Douglas, 1865. FORMILLI, C.T.G. 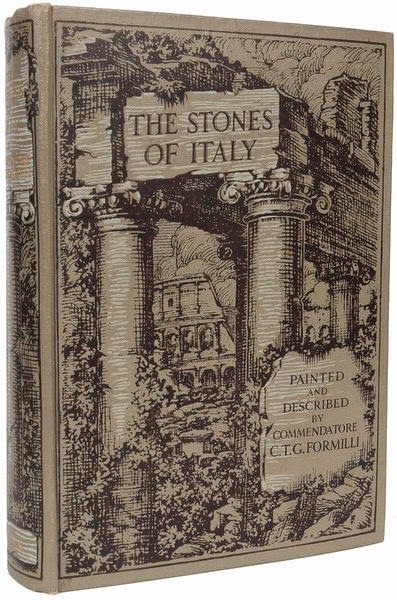 The Stones of Italy. London, A. & C. Black, . BAGOT, Richard. The Italian Lakes. London, A. & C. Black, . 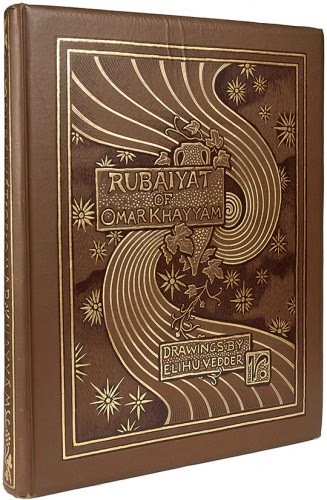 OMAR KHAYYAM The Rubaiyat of Omar Khayyam. With an Accompaniment of Drawings by Elihu Vedder. Boston. Houghton Mifflin and Company. 1884. 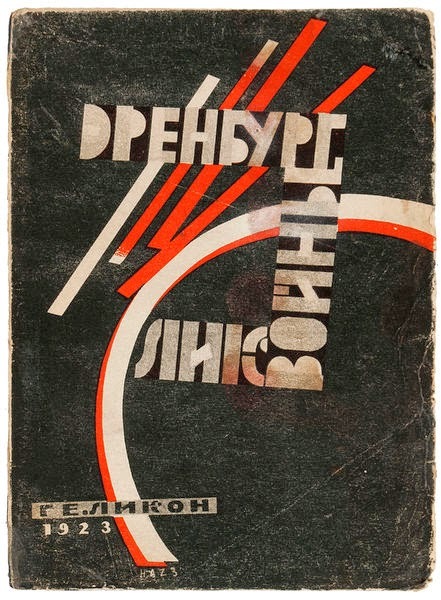 Cover design by Natan Altman, dated and signed with his full name in print.